ACEPC AK1 Mini PC is one of the best Windows 10 Mini PC 2017, and it is powered with Intel Celeron J3455 Quad Core Processor, Up to 2.3Ghz, which is better(Clocked higher,More memory bandwidth) than the Cherry trail series. 32GB of eMMC, 4GB of DDR3L memory and pre-installed with Windows 10.You can add a Micro SD card up to 128GB to expand the storage.Downloads your favorite apps and media as you like. How IBM talks about ACEPC AK1? ACEPC Is Witnessing The Rapid Development of Windows PC Technologies. 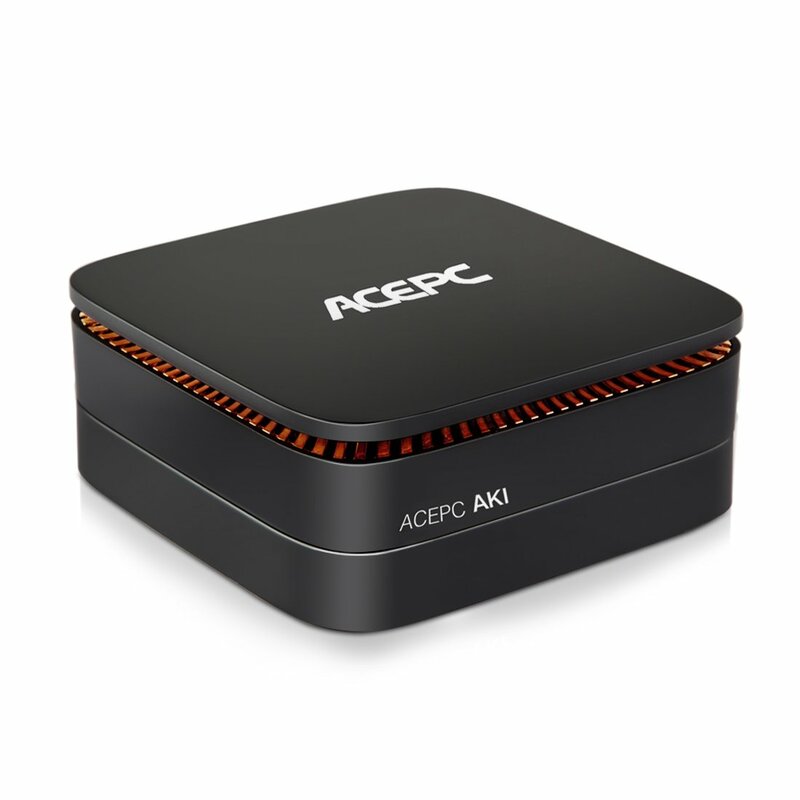 ACEPC AK1 Mini PC is a prime example of the power you can get locked into one of these tiny boxes. Fully equipped with Windows 10 and Intel Celeron J3455 Quad Core processor, this is a nifty little model with way more power in it than multiple top-end 90s models. Click for more. What people said about ACEPC AK1? ACEPC AK1 is fairly typical looking Windows PC, using a typical black square design. The front of the unit is bare, with all the ports located on the sides and rear. It has a charcoal-gray finish with a stylized ACEPC logo across the lid. Around the top of the mini desktop is a vent for heat and air, but ACEPC adds some functional flair with copper cooling elements that double as visual accents. Click for more details. We have tested beach buggy racing & asphalt 8 both played perfect with no lags, freezs or lock ups & the loading time is fast. The wifi surprised me on AK1 as its a lot better than we were expecting very pleased with it found my network connection first time & the signal strength was strong,It also picked up other near by networks. Both HP Elite Slice and ACEPC AK1 are very similar in shape. Any of them is a conventional business-focused mini desktop on the surface, but it also has a port on the bottom that allows you to stack it on top of other modules, adding and removing functionality as needed. Click for more details. ACEPC AK1 mini PC is a desktop PC with Intel Celeron J3455, up to 4GB of RAM and up to 2T of EXTERNAL storage (HDD) into a a case that’s similar to HP’s. ACEPC AK1 vs HP Elite Slice in Size: HP Slice is a 6.5 x 6.5″ soft-cornered square, ACEPC AK1 is 8.7 x 2.7 x 6 inches.